Everyone knows there is no surf in Florida. So why o’ why has this sunny, yet waveless state managed to produced the worlds best surfer. 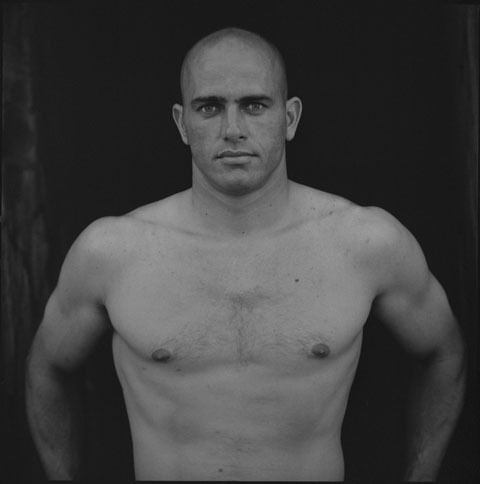 It is not a matter of opinion whether Kelly Slater is the worlds best surfer ever to have existed, its fact! The man is a machine, can you imagine dominating such a sport to such an extent that you can win 10 world titles. The scary thing is, he won his first when he was 18 and his last when he was 38. Let’s think about that for a second. Can you imagine being in your prime at 18 and then 20 years down the line still being at the top of your game.It’s not like surfing is an easy, effortless, lazy sport like golf. (Kelly is even incredible at golf) Surfing is physically demanding and with the progressive youth of today busting airs and flips, Kelly has done well to not to lag behind. Many have described Kelly as ‘super competitive’ and I think that’s what keep’s him juiced. Kelly wants to prove year after year that he is still the best surfer out there, he wants to show that he can still win against anyone and will carry on doing so for many years to come. Just look at what he did at the US open at Huntington beach. Following criticism from fellow competitors for not showing at Jeffery’s Bay, Kelly smashed every person he was up against with ease and won the competition. Kelly is just one of those people who is good at anything he set’s his mind too. Whether it be surfing, body-surfing, golf, anything. He is good. Almost too good. Surfing doesn’t get too much recognition as a major world sport, and maybe it shouldn’t. Yet it is important as members of the surfing community to understand what we have. We have possibly the greatest sportsman to have ever lived. It’s hard to think of any other sport where someone has won a world title 20 years since their first. Also has anyone ever dominated a sport so much for so long? I sincerely doubt it. The question is should Kelly stand down and let someone else have a go, or should he just keep on killing it?